The Amped wireless premium 25ft outdoor Wi-Fi antenna cable is a durable, low signal loss, outdoor Wi-Fi antenna extension cable for use with outdoor Wi-Fi antennas. The APC25EX is made from the highest quality Material and craftsmanship to provide a durable (designed to last over 20 years outdoors), weatherproof connection between your wireless device and your outdoor Wi-Fi antenna. Premium RF shielding and build Material ensures High signal efficiency for minimal signal loss and maximum performance over long distances. 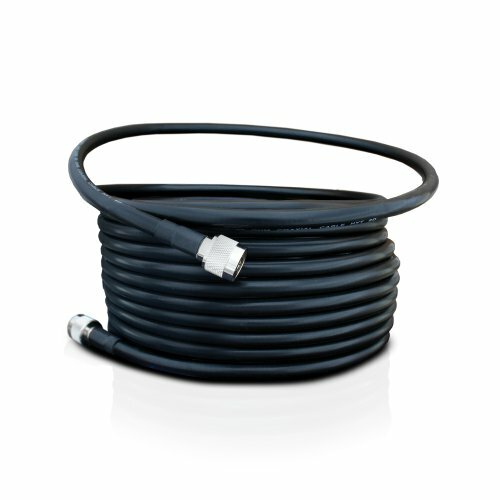 The premium 25ft outdoor Wi-Fi antenna cable is designed for use with Amped wireless outdoor antenna kits as well as other compatible outdoor antennas.